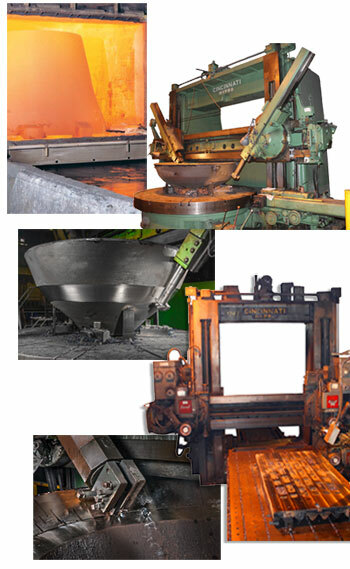 Our on-site heat treat and finishing capabilities provide us with the complete control to manufacture products to our customers' precise requirements. The four heat treat furnaces have parts capacities up to 118" in diameter, and can handle individual pieces weighing up to 40,000 pounds. Our 22 vertical boring mills with table sizes up to 158” and the six planers with bed sizes up to 18’ long by 10’ wide allows us to manufacture large quantity orders in far less time than other facilities. All parts are machined to exact specifications to ensure parallel fit through the life of the casting.